Airtel free offer to get Missed Call Alert, If anyone wants to call you and you are Out-of-Range or your Mobile is switched off. Then to get all details when your Mobile Network is out-of-coverage Area. Receiver(You) will get Notification Via Text Message when you switch off your Mobile or some network problem. Missed Call Alert will notify the Phone Number of Sender and also name if you have stored Missed call Number in phone book. 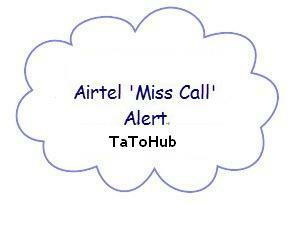 Now your Airtel Missed Call Alert will be activated for free. NOTE:- Try this at your own Risk if your Money get deducted then i am not responsible.This trick may work in some states. If tricks work at your state please do comment to help other friends too and Share it.